Launched in 2003, the oikos Cases Programme supports the development and use of cases on sustainability in courses on management, finance and entrepreneurship. It comprises the annual oikos Case Writing Competition and the oikos Case Collection. Over the fifteen years the program grew in accordance with contemporary sustainability needs. While in 2003 the competition began with a single track on corporate sustainability, in 2009 it expanded to include a track on social entrepreneurship. 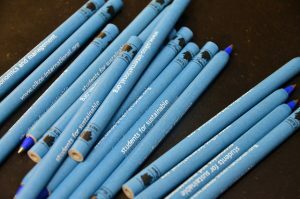 In 2013 it further introduced a sustainable finance track. Fifteen years later, recognizing the complexity to label sustainability cases in different categories led us to relaunch the oikos Case Writing Competition in a renewed format. The 2019 Competition has only one track on sustainability, therefore expanding the scope of possible topics addressed through cases. The goal is to promote the writing of high-quality cases on sustainability topics that stimulate innovative teaching and learning experiences. The review process will place increased emphasis on the innovativeness of the teaching method and its encouragement to foster experience-based and interactive deep learning as a major evaluation criterion. The first prize amounts to 6,000 CHF, the second prize is 3,000 CHF and the third prize is 1,000 CHF. Partners of the program include The Case Centre, the biggest collection of management case studies worldwide, as well as the University of St. Gallen, a front-runner in higher education business courses. Inspection copies of all winning cases, as well as runners-up, are included in the oikos Online Case Collection. The collection currently consists of over 80 excellent peer-reviewed cases on sustainability in management and entrepreneurship. A selection of them is also available in the four books published by Greenleaf Publishing titled Case Studies in Social Entrepreneurship – The oikos Collection Vol. 4, Case Studies in Sustainability Management – The oikos Collection Vol. 3 (both published in 2014), Case Studies in Social Entrepreneurship and Sustainability Vol. 2 (published 2011) and Case Studies in Sustainability Management and Strategy Vol. 1 (published 2007). In 2003, oikos launched the first edition of its Case Writing Competition. Since then, thousands of professors and students worldwide have benefited from the cases included in the oikos Case Collection. Today, 15 years later, oikos is proud to relaunch the Case Writing Competition in a renewed format. The goal is to promote the writing of high-quality cases on sustainability topics that stimulate innovative teaching and learning experiences. 1) Recognizing the complexity to label sustainability cases in different categories, the 2019 Competition has only one track (instead of three). 2) The review process will place increased emphasis on the innovativeness of the teaching method and its encouragement to foster experience-based and interactive deep learning as a major evaluation criterion. 3) In the second round of reviews, the winning cases among the finalist cases will be nominated by a committee composed of oikos student members. oikos encourages the submission of high-quality and original cases on sustainability topics based on recent business situations and developments. Submitted case studies should be suitable for use in management, entrepreneurship and finance education, and should address issues faced by real organizations and/or individuals. Applicants must be professors, teachers, research assistants or students currently affiliated to university institutions, without any geographical restrictions. Submitted cases may have multiple authors, but each author can submit one case only. Accepted submissions are subject to a revised two-step double-blind review process. • In the first step, submitted cases will be reviewed by a Case Faculty Committee composed by expert faculty members from university worldwide. • The Case Faculty Committee will select up to 10 cases as finalists. The authors of the finalist cases will receive structured feedback, and will have the opportunity to revise their work before the second step of the review process. • In the second step, a Case Students Committee composed of oikos student members will review the finalist cases and award three prizes: First Prize (6,000 CHF), Second Prize (3,000 CHF), and Third Prize (1,000 CHF). • oikos reserves the right not to select any finalist cases if the Review Committee believes that the submitted cases do not meet a minimum level of quality standards for the Competition. • Case content: Importance of the case in terms of economic, social and environmental relevance; suitability for pedagogic purposes; originality of the topic. • Teaching notes: Clarity and comprehensiveness of the instructions. Innovativeness of the teaching method (e.g. use of new technologies, multi-disciplinarily, interactivity). • Form: Style of the writing. Clarity of the presentation of concepts. Rigorousness in the use of data. Be written in English and be no longer than 20 pages (excluding exhibits, pictures and graphs). Please use the oikos case template available here. Contain a case abstract (max. 300 words). Contain a case teaching note (max. 10 pages). Be accompanied by the case submission form. Access it here. Be entirely unpublished on the day of submission. It must remain unpublished until the end of the review process. Be accompanied by a release letter signed by the interested company, if the case uses primary data. Not contain any indication of the authors and the names of the authors’ institution anywhere in the case and on any websites or other platforms. Be submitted via email to case@oikos-international.org by April 30, 2019 (deadline). oikos will promote the winning cases in the oikos free Case Collection, along with the teaching notes. Winning authors agree to make their cases and teaching notes freely available to teachers and professors worldwide for educational purposes. The copyright fully remains with the case authors. oikos will invite the winning authors to present their cases at the oikos FutureLab conference in October 2019. Abstracts and further information about the winning and runner-up cases are available by award year below or in alphabetical order in the oikos Case Collection. 1st Prize: Eliminating Modern Slavery from Supply Chains: Can Nestlé Lead the Way? 2nd Prize: Volkswagen’s Emissions Scandal: How Could it Happen? 1st Prize: Can Barry Callebaut Attract Sustainable Investment with its ‘Forever Chocolate’ Strategy? Runner-up: ‘Enrich Not Exploit’: Can New CSR Strategy Help Body Shop Regain Glory? By Joseph Satish V (Centre for Knowledge, Culture and Innovation Studies at University of Hyderabad, India) and C Shambu Prasad (Institute of Rural Management Anand, India). Runner-up: Ten Thousand Villages in Crisis: Can the Fair Trade Pioneer Survive and Flourish in an Economic Downturn? 1st Prize: A Burrito without integrity: Is this Chipotle for me? 2nd Prize: The Fall of SunEdison – A Solar Eclipse? 1st Prize: The Case for Divestment: Rockefellers’ Fortune? Runner-Up: Modernizing Dharavi: If you build, will they come? 3rd Prize: Crediamigo: Partnering with VivaCred? Runner-Up: Bio-Vert: Green to What Limit? by Filipe Santos and Anne-Marie Carrick-Cagna (INSEAD, France). Best Reviewer Award: Roberto Gutiérrez (University de los Andes, Columbia). 3rd Prize: Kapai New Zealand: Eat Your Greens! Honorary Mention: Exiting in a state of Grace: Can Death be Sustainable? 3rd Prize: The Body Shop: Social Responsibility or Sustained Greenwashing? Runner-up: Transforming the Global Fishing Industry – The Marine Stewardship Council at Full Sail? Runner-up: Aiming Toward a Hydrogen Economy: Icelandic New Energy Ltd.
2nd Prize: Jari Cellulose S.A. The oikos Case Collection provides over 80 peer-reviewed cases on sustainability in management, entrepreneurship and finance to lecturers and other interested parties around the world. You find the cases in alphabetical order below. Some cases in the collection are available for free as oikos Free Cases under the Creative Commons license. They are included with an asterisk below and you can browse them separately under oikos Free Cases. If you are a faculty member and interested in teaching these cases, you can request a free teaching note by clicking here. You find the list of winning cases by year under Winners. You can also access all cases with further filter options in our Publications. The oikos Free Cases provide peer-reviewed cases on sustainability in management, entrepreneurship and finance to lecturers around the world for free under the Creative Commons license. You find them in alphabetical order below. oikos Free Cases are also listed in the oikos Case Collection denoted with an asterisk. You can also access all cases with further filter options under Publications. We are pleased to present our jury members. The list will be updated as the members are confirmed. 1. Will I retain publishing rights if my case is chosen as a winner? and we can find a case by case solution. All winning cases and teaching notes will be freely available to teachers and professors worldwide for educational purposes. 2. How long should the case remain unpublished? Since we guarantee a double-blind review process, the case must remain unpublished during the whole review process. This also includes the fact that there should be no references to the authorship of the case anywhere on the internet (e.g. in the author’s CV, research pages of the university, case database). As part of the screening process, we check this by searching for the case online. 3. I am concerned with the fact that an inspection copy will be posted on the oikos website. It is the policy of our university not to allow cases to be posted in this way. 4. Can I submit my case to the oikos Case Writing Competition if I have submitted my case in other competitions this year? It is not a problem if you submit your case to another competition and win prizes in both competitions, as long as your case is unpublished. 5. Can I resubmit the case that did not win in the previous oikos Case Writing Competition? It is possible to submit a new case which is based on the previous case that did not win. The new case should contain an update on the situation and ideally take reviewers’ comments into consideration. Unfortunately, we will not be able to accept a case which is identical to last year’s submission. 6. Can I submit a case if I am not an academic? We do accept cases from non-academics, if they are co-authored with faculty, research assistants or students of business administration (or related areas). If you are not related to academia, we would advise that you invite an academic co-author for your case. Since we require teaching notes as part of the submission, your case will benefit from the involvement of the academic who can advise on how your case can be taught. We also recommend that the case is “practiced” in the classroom prior to submission to the oikos Case Writing Competition as this improves the quality of teaching notes. 7. I have written two cases. Can I submit both? No, since in 2019 oikos Case Writing Competition is composed of only one track, authors can only submit one case to the comptition. 8.What are the file formats for the case and teaching note? The file formats for the case and teaching note is Word (.doc/.docx) and PDF as outlined in the “Call” tab. 9. Are there any rules about formatting the case and teaching note (e.g. page margins, font size)? Yes, please refer to the “Call” tab. Please also make sure that there are no references to authors’ names and their university anywhere in the document. 10. I have a video as part of my teaching case. What is the best way to submit it? The best way is to upload the case to one of the password protected video sharing web-sites, e.g. Vimeo. Please note that when uploading your video to Vimeo or another video sharing web-site, you should disguise your name and the name of the university. Also please include a link to your video in the teaching note. 11. I would like to submit a case in two parts, (A) and (B). How do you evaluate the length of the case, 20 pages for (A) + 20 pages for (B)? Or is it limited to 20 pages for both of them? Each part should not exceed the 20 pages. However, our general advice is not to make the whole case too long as experience has shown that long cases generally receive lower scores. 12. Can the case be based on secondary data? Yes, the case can be based on secondary data, which should be properly referenced throughout the document. 13. Since the collection of data took some time, my case is situated before 2015. Will my case be accepted? Unfortunately, such a case will not be eligible unless you create a link to a more recent situation, for example by an introductory paragraph where the case protagonist reflects on the time before 2015. However, you would also need to present the current company situation. The intention of the oikos Case Writing Competition is to encourage the development of “fresh” cases describing recent events. The Call for Cases of the 2019 edition is now open. The winners of the oikos Case Writing Competition 2018 are now published in our website. Including 4 new finalist cases of our 2018 competition available for free as part of our oikos Free Case Collection! More free cases and inspection copies are available in the corresponding tab on the left side. For further information please contact case@oikos-international.org.